« How to estimate a leaf removal job. Oh the things you wish you knew when you got started. If you only did this or if you only did that. Sure we all can look back on anything we started and find ways we could have made growth come easier and faster but what were the real important issues? What steps could we all really have taken to make a serious difference? 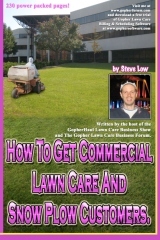 That is what one entrepreneur wondered as he asked for advice on the Gopher Lawn Care Business Forum. 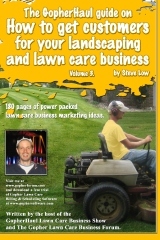 One lawn care business owner wrote “last spring I started my own lawn care business. I always wanted to do my own thing and operate my own company so this is very exciting for me. I feel like I am fairly knowledgeable about business. I feel like I have always had a good understanding about how business work best. This past year was pretty busy for me and I had to turn down a lot of work because I just didn’t have the resources to perform them all. I absolutely hate my current full time job, plain and simple. The only benefit of it is the schedule. 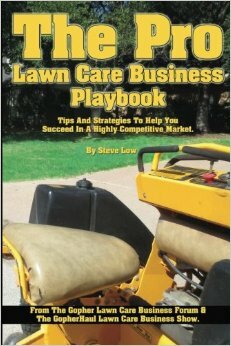 It is the busiest during the winter months from Nov 1, to the end of Feb and that is when my lawn care business is the slowest. So far, I have figured I could just fall back on the job during the winter months. At the moment it’s kind of a win win. I just am afraid to jump the gun and dive into my business along with it’s non-guaranteed paycheck. I hope I am doing the right thing here. One of the options I have been playing around with is to take on a partner. I have a friend who has been talking about starting his own business for the past few years now. In fact, he is the big reason that got me to start thinking this way and inspired me to start doing it. His role in my mind would be to help get the word out about my company. He seems to have had run into a lot of bad luck in the past and just never found the right time to get started himself. It also might be that I just had better luck. We’ve talked a lot about joining forces and doing it the right way. 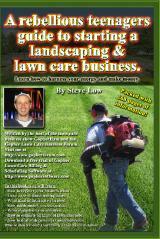 A second lawn care business owner said “this is my second year in business as I feel like I am new too to all this. 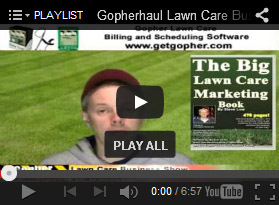 I got my start by buying a lawn route that allowed me to go full time from the get go and quit my full time job immediately. 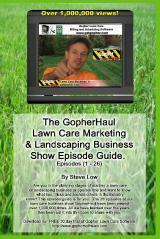 I did have a little prior experience in the past working with a landscape company that taught me some important lessons I needed to know. For me the decision to quit my full time job came easy. My goal was if I could cut my expenses and make enough to support myself with the customers I bought, I would dedicate myself to growing the business from there on in. 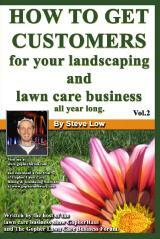 When I initially bought the mowing route it had 25 customers. 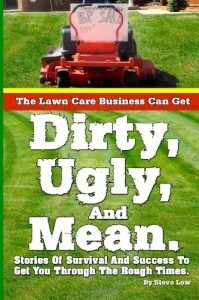 As I got into the business, I quickly found out that the previous owner was really undercharging all the customers. After studying the financials, I knew something had to be done so I sent out a letter to all the client that their services would cost a bit more in the new year but along with a price increase, I promised to improve the service. Two of the customers cancelled any further service and I was pretty happy that was all that left me. Most of the others didn’t really seem to care much about a price increase since it was just a few dollars extra a week. So I raised my prices by a few dollars and I added more services and things improved steadily. A few of the customers seemed to need a little more hand holding about what was going on and I took the time to explain to them in person my plan. Once I talked to them they seemed to understand the reason I had to increase the price and decided to continue on with their services. 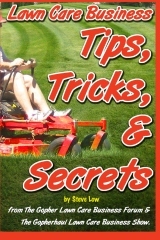 The mowing route was originally making around $20,000 a year when I took it over. After I raised the prices, my income increased to just under $30,000 which made a big difference. Since then I have been able to acquire a few more customers and it seems the profitability of my route keeps growing. My advice to you is to try and build up your customer base so that your income matches the amount of money you need to quit your job. If you look around, I bet you could tighten your spending at home as much as you can to lower it as much as possible and focus all of your energy, day in and day out, on building your company. For me, craigslist has been my best marketing tool. 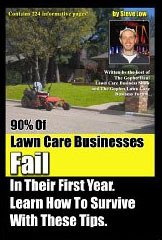 If you service a larger metro area, I’d suggest you go out, show your face in church or any other place where a lot of people get together and let them know you are now available to provide them with the best lawn care service in the area. I am sure you can make this happen, just don’t be afraid to promote yourself. A third added “growing your company to the point where you are generating the same income as your full time day job is a big step. Other factors come into play as well. You need to look and see if you have the right equipment to get to the size you want? I wish I gotten a stander instead of a walk behind mower as that would have made my life a lot easier. 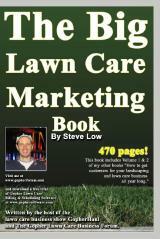 I used a 48″ walk behind as my primary lawn mower for the first two years and that really slowed my business growth. The stander is coming next year. Do you have enough money set aside in the bank to fund your growth? 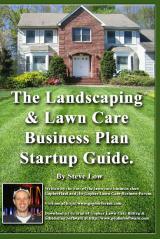 Do you have a business plan in place? When I quit my regular job a couple of years back, I made sure that I had saved two times the amount of money I thought I would need to get going. 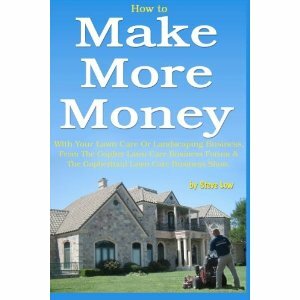 If you are making decent money, make sure to put money away then you will be ready to move beyond your 9-5 job. 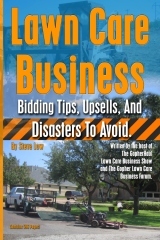 This entry was posted on Friday, December 27th, 2013 at 1:13 am	and is filed under Business Failure, Growth, How to Estimate - Services To Offer, How to get, How to sell, Lawn Care Business, Lawn Care Customers, Lawn Mowing, Marketing, Marketing on Craigslist.com, Mower, Operational Costs, Overhead Costs, Pricing, Start up, lawn care equipment. You can follow any responses to this entry through the RSS 2.0 feed. You can leave a response, or trackback from your own site.